This is an easy intermediate ride only because of the distance 60 miles each way. Level riding there and back with trail markers on an established Yentna River trail which has some occasional grooming. 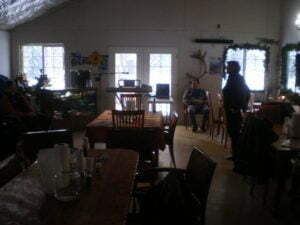 We make a stop at historic Yetna Station Roadhouse for optional hot lunch on the way there. Skwentna Roadhouse is the historic first refueling stop for both the Irondog and Iditarod races. 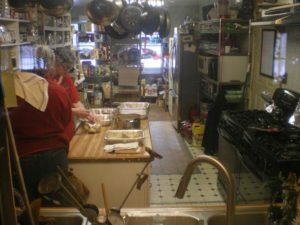 A very “homey” atmosphere and a special backcountry lodge experience you’ll never forget, Skwentna Roadhouse knows how to “do it right”. And they treat Anchorage Snowmobile Club events generously. THERE’S ALSO A SPLIT-THE-POT YENTNA FUN RUN THIS WEEKEND. Optional late afternoon spin to nearby Shell Lake Lodge after dropping off our overnight gear at Skwentna Roadhouse. Trail to Shell Lake Lodge is a typical non-groomed snow track through magically beautiful forested areas. SPECIAL discounted club price $150/night per person (for this event only) includes TWO complete meals; buffet supper Saturday night (with more home-cooked food than anyone can eat) and all-American hot sledders’ breakfast on Sunday morning. Lodge rooms sleep 4 persons (some have bunks) with commonly shared mens & ladies bathroom. Cabins also available…please indicate bedding preferences at time of booking. Ask about children and family rates. 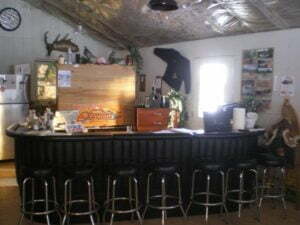 In addition, if you are a club member and are staying overnight at the Skwentna Roadhouse on February 9th, Cindi will give each snowmachine belonging to that member a 15 percent fuel discount at the pump in Skwentna! TERMS Cancellation: 14 days prior/January 26th a refund will be given less a $20 per person processing fee. After 14 days prior, any or no refunds are at the discretion of the Skwentna Roadhouse management and all payments as such may subject to full forfeit. All payments should be directed to the ride leader above. (Emergency conditions that prevent safe riding with possible refunds are determined solely at the discretion of the Skwnentna Roadhouse with sensible consideration). Meet at Deshka Landing Parking Lot in Willow at 10am, be ready to ride at 10:30 Saturday 2/9. 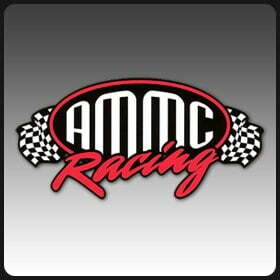 We’ll return to the cars by 4pm Sunday 2/10. [to get to Deshka Landing: heading north—go through the entire town of Willow on the Parks Highway North. The Willow airport will be on the right of the highway at Milepost 70 and just 1/2 mile past that there will be a large green sign that says “Willow Creek Parkway”/”Deshka Landing” pointing to the left/west. Head west on Willow Creek Parkway (WATCH OUR FOR MOOSE from here to Deska Landing!!!) a couple miles where is the a turn for the first road on the left: “Crystal Lake Road”. Go approximately 2.5 or 3 miles on Crystal Lake Road and there will be a sign “Deshka Landing” pointing to a RIGHT TURN onto “Mishap Avenue” now heading west again. Stay on that–it snakes around neighborhoods but will eventually dead-end into Deshka Landing complex. Deshka Landing business office opens at 9am but you can park before that because entry is an automatic gate when you dispense your parking voucher–don’t loose it! 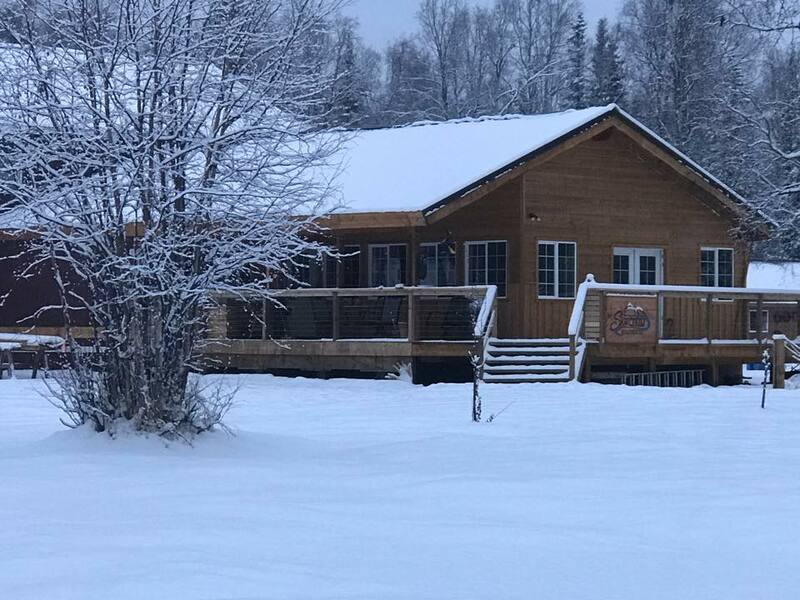 ASC Business Member: Eagle Quest Lodge & Cabins serves a delicious home-cooked and friendly breakfast just before the Deshka Landing gate on your left. Last two years we had TONS of snow by early February and it was ALL soft snow riding ! As of December 31st, Skwentna Roadhouse is reporting a whoppin’ 56″ snow base with a completely frozen and marked river trail. 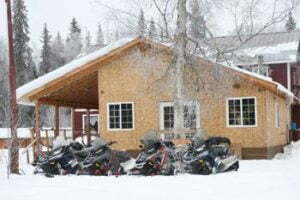 SNOWMOBILE/SNOWMACHINE RENTALS ARE AVAILABLE from Skwentna Lodge. Modern rides are just $340/day not including gasoline ($1000 refundable security/damage deposit is required in advance). Your chariot will be awaiting you at Deshka Landing at the start of the event, freighted downriver just for you.If you are interested in renting a sled, please contact ride leader Michelle LaRose (contact info above).